Of course, we want our guests to have an AMAZING time and to leave their cares at the door and enjoy themselves! That said, we go to great pains to make sure our guests are safe and secure in our mobile game theater. You may have seen in last year’s news, the unfortunate event in Atlanta where 7 kids and 2 adults fell ill with carbon monoxide poisoning while playing in a game truck. The employee, VERY unwisely, ran an external generator inside the game truck with no ventilation. Thankfully, everyone was okay (though they all had to go to the hospital). You should know that we have 2 generators; our primary one that is permanently mounted outside in the front, and our backup. Our main one’s exhaust directs the fumes to the driver’s side of our mobile game theater, AWAY from the front door and our AC units. When it’s necessary to use our backup, we make sure to place it in a similar spot, directing the exhaust away from everyone. To be on the safe side, we’ve also installed a carbon monoxide detector inside. 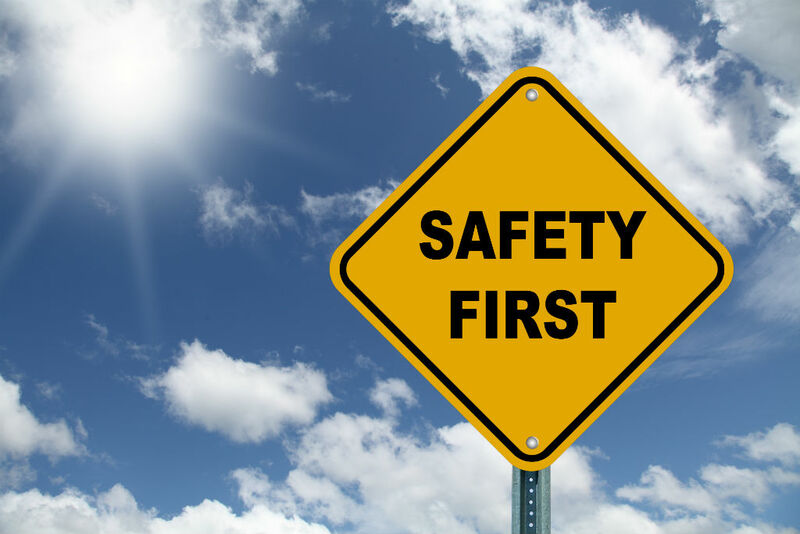 In addition to having a fire extinguisher inside the mobile game theater at all times, we’ve also implemented a safety plan (available upon request) in the event of fire, active shooter and other emergencies. Our employees undergo an extensive background check, especially in the areas of crime and sexual abuse. We know how worrisome it can be to leave kids with people you don’t know (we’re parents too! ), that’s why we always welcome parents into our mobile game theater at ANY time during our parties! Lastly, our rules aren’t just there to boss around the kids, they’re mostly for the safety of our guests! We love having little ones around, but we’re adamant that parents hold them while in the trailer. Not only can they cause damage to controllers and consoles, but it’s easy for them to fall off our seats or stumble as they climb out of the trailer unsupervised. Similarly, big kids can fall off the seats too! Sometimes they get carried away and start jumping up and down on the seats…that’s why we kindly ask that they stay seated. It’s also our policy to close the side door (where our two outside TVs are) when it’s raining, to avoid any chance of slipping. With all of this in mind, we’re thankfully 100% accident and injury free! Our customers trust us with their kiddos…we don’t take that lightly! Happy New Year from EZPZ! Well, here we are, the last week of 2017. Typically, the holidays are quiet as far as video game parties go (NOT so much in all other areas of life! ), so this makes for a fine opportunity to look back at the outgoing year and peer at the horizon of 2018. The most important addition to EZPZ was not new games or consoles, but a new game coach! If you had one of our mobile video game parties this year, you’ve probably met Tomas. He’s been an incredible addition to our very small team. In “real life” Tomas is a class-A truck driver and transportation manager, and has slid into the role of Game Coach/Driver exceptionally well. He’s pretty reserved and soft-spoken at first, but he’s incredibly great with kids (he has none of his own, but has a couple of nephews that he’s very close to) and he has just as much fun during the parties as the kids! 2017 has been a wonderful year of growth for EZPZ. We’ve practically doubled the amount of parties over the previous year, and have begun much-welcomed relationships with CSUMB, the Presidio of Monterey, the City of Marina, and numerous schools and churches throughout the 831. We look forward to forging more such relationships next year! We’ve also added the Nintendo Switch to our lineup of game consoles. One of our biggest challenges is keeping our game inventory updated with the games kids love to play. 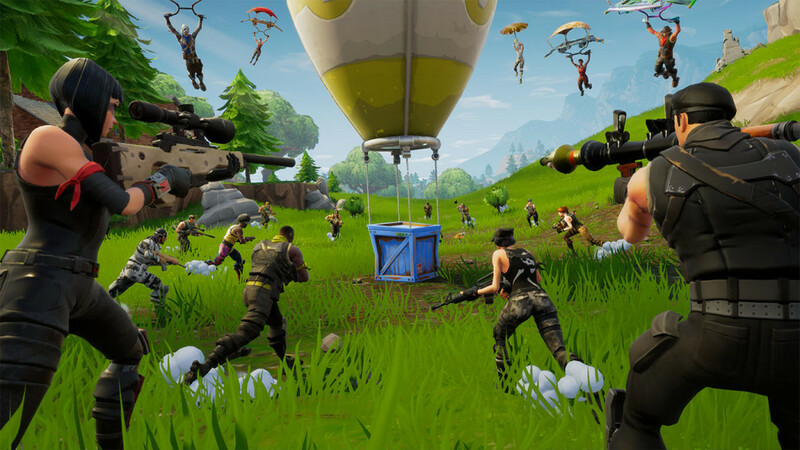 Game designers have increasingly made games either single player only, or rely on online multiplayer action rather than “local” multiplayer. As much as we’d like to have the bandwidth capable of handling all of our game systems, it’s really not feasible. 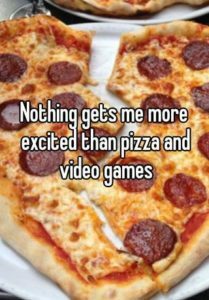 Plus, what makes a mobile video game party the most fun is the ability to play alongside friends and family, not alone or against an anonymous player somewhere else in the world! We will continue to procure the best local multiplayer games possible and even lobby game companies to not leave local multiplayer games behind. Our other major challenge this year has been our generator. As you probably know, our mobile game theater is self-powered via a gas generator that is located at the front of the trailer (on the outside, obvs!). This year, our generator has given us (and our mechanics) fits with occasional breakdowns. We’ve avoided major interruptions to our parties by using our backup generator and, as of this writing, have hopefully figured out the issue of our main unit. 2018 is promising to be bigger and better for EZPZ! We already have bookings at churches, CSUMB, and our bread and butter, birthday parties! We’re so grateful for our Central Coast community, anchored by Salinas, Monterey, Hollister & Santa Cruz, for supporting local businesses like ours! It took some time, but we’ve finally added a Nintendo Switch to our lineup of video game consoles! The Nintendo Switch is more like a portable game system but is quite powerful and the graphics don’t look like they’re coming from such a small system. The graphics chip is from Tegra, in conjunction with industry leader Nvidia. The result is amazing graphics similar to what you would see in a PC made for gaming. 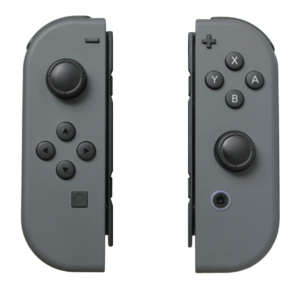 A new twist are the Switch’s controllers, called “joy-cons”. The joy-con is actually 2 controllers, one held in each hand. There is also a more “traditional” controller similar to the ones used on Xbox and PlayStation platforms. The joy-cons take a little bit of getting used to, but we’ve had terrific feedback so far. Super Mario Odyssey: Mario, once again, has to save Princess Peach from the clutches of the evil Bowser, this time with the help of his new friend, Cappy. Mario and Cappy have to traverse kingdoms and obstacles to get to the princess. This is a 1- or 2-player game and is fine for all ages. Super Mario Kart 8 Deluxe: Much like the game that our young customers have been enjoying on the Wii U, this game is a great racing game and is ideal for anyone who is new to gaming. Splatoon 2: One of the few FPS (First Person Shooter) games rated E for Everyone, Splatoon 2’s protagonist shoots ink instead of bullets or lasers. We usually don’t stock games that are only for a single player, but kids have a great time with this game! We’ll be adding more Switch games in the near future (Cyber Monday, here we come! ), and of course we still have all of our other exciting multiplayer games for the Xbox One, Xbox 360, PlayStation 4 and Nintendo Wii U! Birthday parties may be EZPZ Video Game Parties’ bread and butter, but we wouldn’t be in business if it wasn’t for our Central Coast schools, places of worship and other non-profits! The City of Marina’s Recreation Department invites us over a couple of times a year to entertain their middle and high schoolers at the Marina Teen Center. Cathy and her staff work tirelessly to make sure their kids have a safe place to go before and after school (and even provides meals!). Terry Siegrist, the director of Marina’s Recreation and Cultural Services Department, also puts in long hours to make the city’s youth are well taken care of. The Kinship Center of Salinas, which provides services for adoption and foster care, amongst other areas, has brought our Mobile Game Theater to their wonderful facility every summer since EZPZ began. Their kids are the sweetest, and Kinship truly provides a much-needed service here in the 831. Shoreline Community Church of Monterey has included EZPZ every summer for their “Controlled Chaos” event for middle and high schoolers. We love Shoreline (we’re biased…Shoreline is our family’s church! ), and we’re so happy that Pastors Danny & Tyler have included us in their annual summer kickoff party! Sacred Heart Parish School of Hollister holds an annual walkathon to help raise funds for their school. 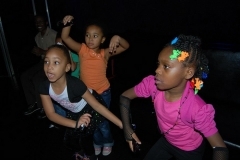 The kids who raise the most get to enjoy an EZPZ Video Game Party! Sacred Heart has used EZPZ the last two years as incentive for their students to hit the bricks! Hollister Prep School invited us this year for the first time for their end of year school carnival. We had hundreds of kids in and out of our game truck! And tonight, we’re visiting Apostolic Community Church of Salinas for the first time! We’re looking forward to meeting their kids and mashing buttons with them! If you’re a member of a local PTA, school, church, or other non-profit, and would like more information on our special pricing, please give us a call at (831) 200-EZPZ (3979). We’d love to help you with your big event! As a local business, we’re not only compelled to support local youth and sports, we’re absolutely happy to do it when circumstances allow. So when I met Greg Bistline, the director of development at CSUMB, at a recent Salinas Valley Chamber of Commerce mixer, I was excited at his suggestion of bringing our Mobile Game Theater to an Otters sporting event. True to his word, Greg contacted me the next day, and we arranged for a meeting with Kirby Garry, CSUMB’s athletic director. I wish most of my business meetings were as enjoyable as this was. With my background in sports broadcasting, the three of us had a good time discussing CSUMB’s sports program (and sports in general). The fruition of our meeting takes place this Sunday, April 23rd, where we (EZPZ) will bring our Mobile Game Theater to the Otters’ baseball stadium for kids (and “kids of all ages”) to enjoy before the Otters take on the Seawolves of Sonoma State (having grown up in Rohnert Park, I’m used to Sonoma State’s mascot being the Cossacks…I guess that’s not in vogue anymore). Pony League players are especially welcome. We’ll be there from 10am to about noon, and CSUMB takes the field at about 11am. Come for the video games, stay for some great collegiate baseball! CSUMB’s baseball diamond is part of the Otter Sports Complex, off 2nd Avenue between Imjin Parkway and Lightfighter Drive. Please note that parking permits are required at all times. Automated ticket machines are located throughout campus. For more information, visit the CSUMB Athletics website or CSUMB’s Parking Services page. We absolutely love our Central Coast community, but when many of the homes in this area were built, they didn’t exactly have our Mobile Game Theater in mind! Being a region steeped in both the military and agricultural sectors of business, homes in this area were generally built smaller as the residents didn’t need much room. This often presents a problem for EZPZ’s potential customers: smaller homes mean little or no room to accommodate our Mobile Game Theater, which requires at least 55 feet for both the truck and trailer to maneuver and park. So what can our curb space-challenged customers do? We’ve had several birthday parties at local pizza parlors! It makes for a great “combo” (see what we did there?). Food and entertainment are all there; all the parents have to deal with is cake and decorations! Not every pizza place is ideal for our game truck, though. A lot of shopping centers don’t have much room for us to maneuver our game truck and therefore can’t host our video game parties. But we’re always willing to check out any suggestions you may have! We have a had a couple of great parties here. Let Marcus, the manager, know that we’re coming when you reserve your pizza party. Located across Highway 68 from Toro Park, Angelina’s has a little dirt lot nearby where our Mobile Game Theater can park. Note: Angelina’s is generally open after 4pm. The Hartnell Plaza Shopping Center has plenty of parking, and while it’s unfortunate that the grocery store there doesn’t currently have a tenant, it makes for a convenient place for us to park our game truck. Nice folks there as well. We haven’t done a party here yet but have spoken to the management. They’re open to having our game truck there, but will likely ask you to either buy a 1-day insurance policy or to sign a liability waiver. Our game truck will fit nicely in their back parking lot near the door that opens to the party room. Real nice folks here. Reserve your party, let them know we’re coming, and they’ll block off an area adjacent to one of their entrances for us to park. Do you know of a place – pizza or otherwise – that is able and willing to having EZPZ’s Mobile Game Theater at their establishment? Let us know! Call us at (831) 200-EZPZ…we’d love to expand our roster of great places to host a Game Party/Pizza Party combination! Like us, you’re hard-working parents. Trying to do the best for your kids. Trying to make your dollar stretch as much as possible. You want to extend the fun that your kids are having. Often we’re asked if our video game party can be extended, but when we inform our customers of the $99 per hour price, some of our well-meaning customers go into bargaining mode. Always polite, they try to talk us down to a lower rate, or want to exchange an hour for a plate of food. Once in a while, someone will say “but we’re recommending you to all our guests/friends/family”, a semi-veiled threat that they won’t recommend us if we don’t comply. But what these well-intentioned folks don’t realize (or they do but press on anyway) is that we have operating costs, just like any other business. An extra hour means our generator is an extra hour closer to having to be either rebuilt or replaced…no cheap feat. An extra hour means more fuel that we’ll have to buy. An extra hour means more wear-and-tear on our equipment, upholstery, heating/cooling system, etc. Food doesn’t pay for our insurance, advertising, upkeep, storage, utilities, payroll, and so on. Again, we get it. We enjoy making your kids happy too. But if you’re inclined to barter for extra time, we’d kindly appreciate the same courtesy you’d show other business professionals. For what seemed like the longest time, my son and his friends had their birthday parties at the exact same place: Jump N Around. Back then, they were next to where Del Monte Gardens (the old roller skating rink) stood in Monterey; they’ve since moved next to Costco in Sand City. Seemingly every party was there. With a dozen or so classmates at any given time, we wore that place out. But eventually, all the kids got too big/old to go to Jump N Around. Then the parties diversified…somewhat. They’d either be at the bowling alley (Monterey Lanes), Water City Skating, which took up Del Monte Garden’s would-be clientele after they closed their doors, or a park or beach if the weather cooperated. Once in a while, we’d go out to Salinas for a party at Chuck E. Cheese’s. About 14 months ago, I wanted to do something different for my son’s birthday. I had heard of game trucks (namely Games2U, which I had seen advertised on the Big Island) and looked to see who was close to us. No one, really. The only company that showed up in my Google searching was GameTruck in San Jose (It turned out that Let’s Party Salinas had a game truck, but didn’t show up in my Googling for some reason). Seeing the need for a different choice for kid’s birthday parties, I investigated the different game truck makers/franchisors, found one I liked, and brought EZPZ’s mobile game theater home to Marina just before Christmas. One year later, and I’m glad I went ahead and did this. I’ve met just the best, friendliest families. I don’t think I’ve had one bad party or customer experience! The biggest challenge has been getting the word out about EZPZ, as it’s still a new concept in this area, let alone Northern California. My son is now a full-fledged teenager who helps his old man out with the family business when he can. Jump N Around, Chuck E. Cheese and similar venues are great, but when your little ones aren’t so little anymore, I hope you’ll think about giving them a Mobile Video Game Party! Regardless, all the best to you and our wonderful Central Coast neighbors in 2017!